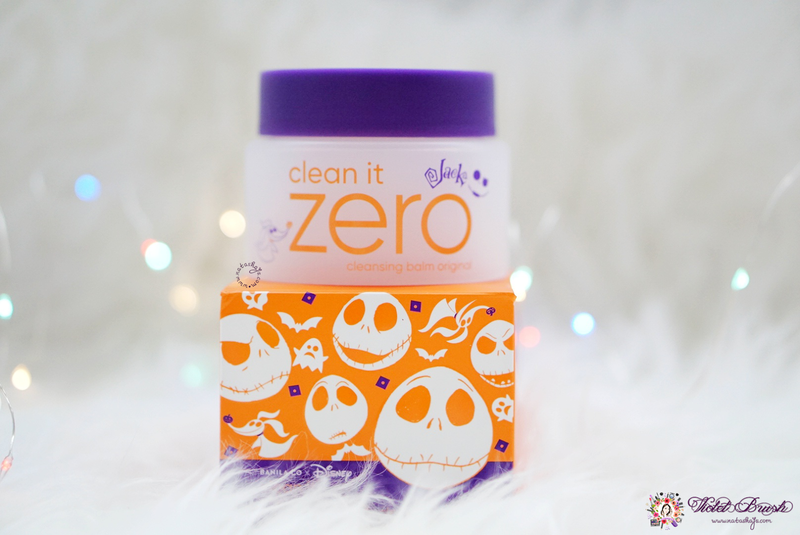 Violet Brush • Indonesian Beauty Blogger: Clean Your Halloween Makeup with Banila Co x Disney's Clean It Zero! 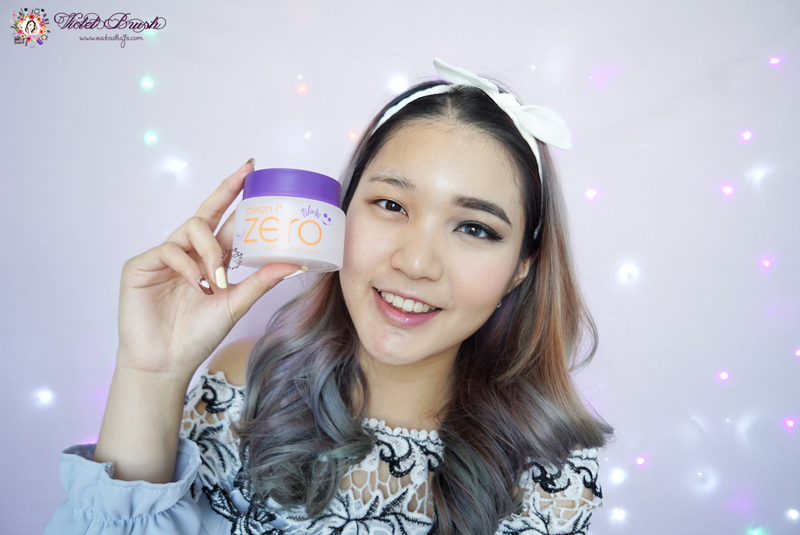 Clean It Zero Cleansing Balm Original is a hypoallergenic cleanser that transforms from sherbet-like texture into smooth oil when applied onto your skin. It is formulated to remove waterproof make-up and even excess oil and dirt all in one simple step. Banila Co Zero Balance Technology deep-cleanses and mildly exfoliate without stripping the skin, and leaves the skin hydrated and fresh. To use: Use the spatula included to scoop balm. 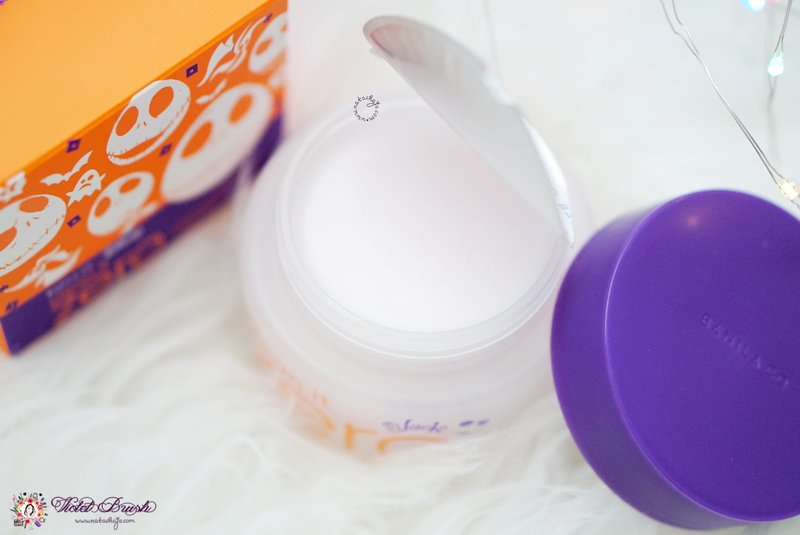 Apply the balm on dry skin and gently massage in circular motion. Rinse well with lukewarm water or wipe off with face cloth or tissue. Pat skin dry. 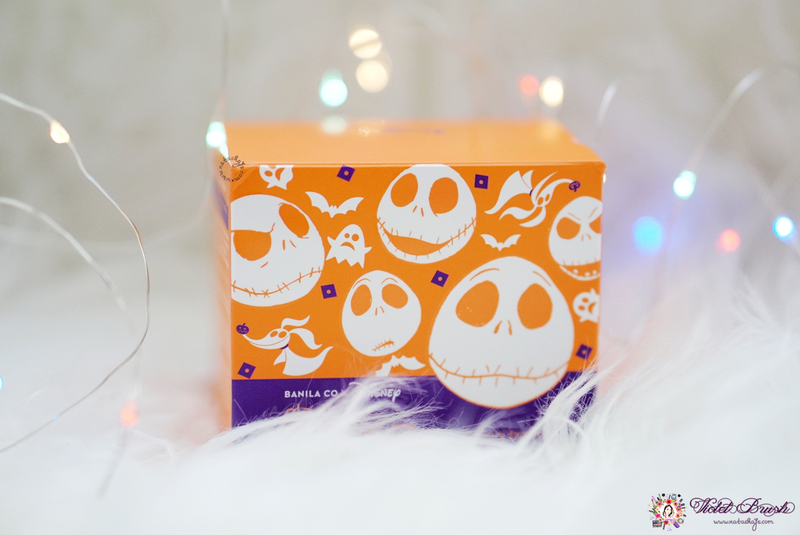 The original packaging of Banila Co's Clean It Zero Cleansing Balm Original is colored in soft-pink, pretty much in contrast with the special Disney Halloween edition which is dominated with orange and purple. It features Jack, the character from Disney's The Nightmare Before Christmas. There are two version from this packaging, the purple and orange version. Mine is the purple version. Banila Co also provides a spatula inside with an authenticity check instructions. Due to the popularity of this product, Banila Co specifically prepared an easy authenticity check. First, offline check. Behind the authenticity check instructions, you can find magnet attached. Bring the magnet close to the circle beside the QR Code on the box and if it's authentic product, you can see the stripes appear according to the magnetic direction. Second, online check. Scan the QR Code on Banila Co's website. The jar is sealed upon purchase but unfortunately there was no extra separator. I don't think that's a big deal anyway, seeing the solid sherbet texture. 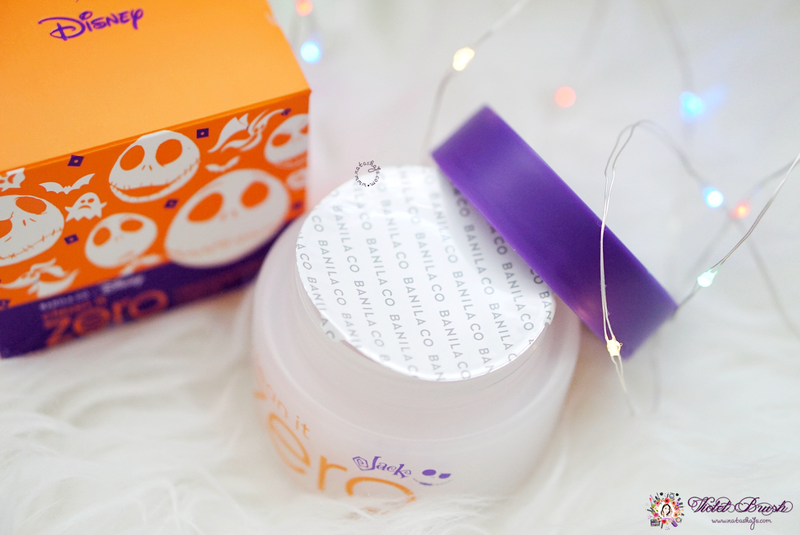 As it claims, Banila Co's Clean It Zero Cleansing Balm Original has a sherbet texture which is pretty solid. As long as it doesn't have any contact with the skin's natural heat, it will remain solid. On the skin, however, it's somehow too oily to my liking. 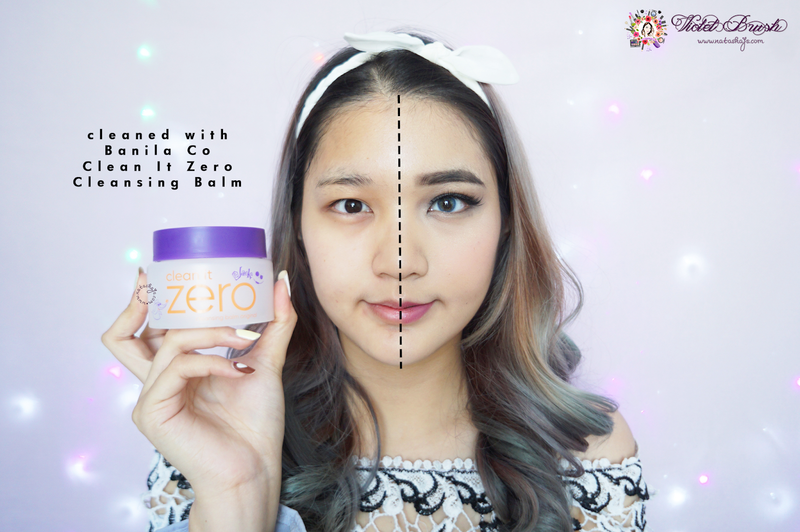 I feel removing makeup becomes more effortless using Banila Co's Clean It Zero Cleansing Balm Original. As you can see on the picture, it removes almost everything at once. Only my eyeliner slightly remains. For me who don't really like cleansing oils, this is pretty decent. Although it feels oily on the skin, its texture is not runny and can be quickly wiped with tissue before washing the face. 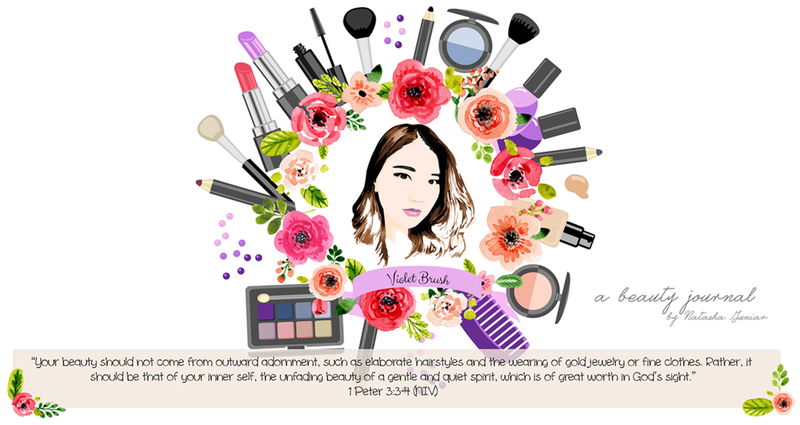 For waterproof makeups, it does cleanse effortlessly. I only need more effort on removing the glue used to stick false lashes. Other than that, I'm good. I might not use this on everyday basis but during special occasions when I'm using full makeup, Banila Co's Clean It Zero Cleansing Balm Original might come in handy. I don't think I will run out of this that fast. 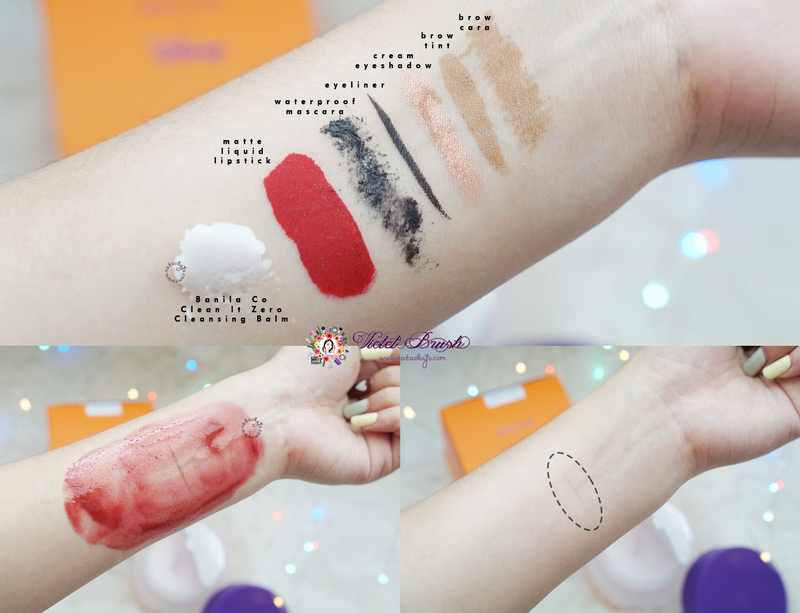 iyaaa ini limited edition loh! Baca reviewnya mas danang, banilla clean ut zero ini bagus sih emang. Penasaran juga mo nyoba. Btw keren juga kl dia sampe punya QR code buat discan.